Has anything changed post Casey? More and more Singaporeans are protesting against the influx of foreigners. What exactly is contributing to this accelerating xenophobia? 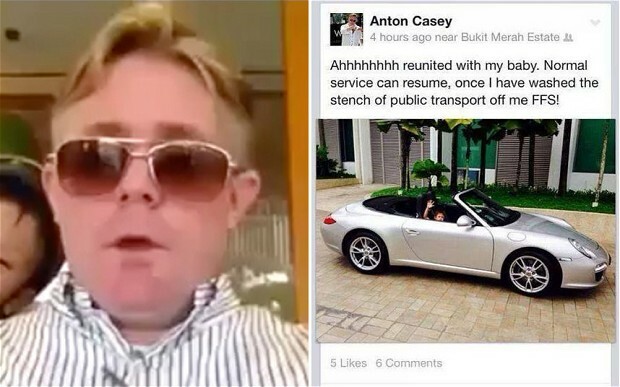 The Anton Casey saga spurred a public uproar by netizens responding angrily and displaying their unhappiness. A Singapore-based British wealth manager published a series of messages mocking “poor” Singaporeans on his Facebook. The wealth manager eventually apologised through a PR company but his move was deemed insincere. 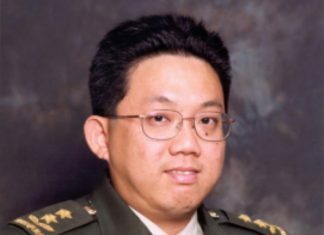 He even received death threats made against his family prompting to flee to Australia after his wealth management firm fired him. Not too long ago there was the notorious Oliver Desbarrestale, a senior employee from Barclays who berated, threatened and threw a metal sheet at a group of construction workers building a house next to where he lived. He was immediately fired from his bank after a video of him went viral on cyberspace. Then there is the Australian expat who ran into a heated argument on two unrelated incidents. In one incident he was caught on a camera footage shouting and banging on the lady’s car. I have seen expatriates misbehaving in public spaces. I signed up for a charitable run recently where I witnessed cyclists reprimanding the runners to f*** off on two separate occasions. In both incidents the aggressors were middle-aged Caucasian men on the cycling track. During my undergraduate days, I have worked in social networking events and encountered snobbish and distasteful expats. Many have questioned if this is the kind of talent we want in Singapore where some foreigners exhibit unruly behaviour that irks locals. As the media is readily reporting stories of uncouth behaviour, news is spreading like fire over social media and galvanizing public emotions. Even the media uses Facebook as a tool to hype up latest stories and news.Tweets pop up every second that get re-tweeted, sent as screenshots for wider public display and articles shared on walls after walls. We have used our technology savviness to create an unprecedented cyber culture. Social media has aggravated this rising tide on xenophobia by swaying people’s wrath. Most Singaporeans fear that they will be subdued as third class citizens in their own country. One of the causes of resentment is the fact that many expats enjoy first class services; the glamorous nightlife, shopping at renowned boutiques and staying in luxury hotels. Not all Singaporeans can afford the same high cost of living. The flux of expats fused with elitism is turning into a stark divisive force in Singapore. Indeed Singapore is a success story with new cash flowing readily, set to overtake Hong Kong as the Asian base for raising capital and enjoying low taxes for businesses. Even Yale has set up campus here and Interpol moved its headquarters recently but the wealth is not evenly distributed, exacerbating the gap between the extravagant rich and wide middle class. Tensions are high with the local-foreigner feud. When expats turn to derogatory commentary by calling commuters ‘poor’ or throwing a fit in public, there is a high probability that Singaporeans will react indignantly. We have reached a stage where there is zero tolerance for unruly behaviour. Social media acting as the message and messenger will continue to sensationalise emotions, thoughts and attitudes. The goal to accumulate more Asian wealth and offset low birth rates with liberal immigration policy evidently has spurred social and cultural repercussions. Surely Singapore will still need to depend on foreign talent to sustain its vibrant and booming economy. Despite the government urging Singaporeans to be tolerant of foreigners, social media will continue to rise and seep deeper into our lives. Critics have underestimated the magnitude social media has to fuel animosity towards foreigners. The popular belief is that xenophobia in Singapore has spurred largely due to economic disenfranchisement rather than social outcomes. Even if our society becomes mindful and tolerant, foreigners including expats need to make an equal effort. An unnamed expatriate defended Anton Casey “that he has a very British sense of humour” implying that his comments were not meant to be condescending. Others have counter-argued that profanities are not regarded as derogatory in the West. Even if culture shock is the root cause of the Anton Casey or Oliver Desbarres saga, expats should not impose their value systems in a foreign land. Cultural adaptation is rudimentary for foreigners despite their income levels and social backgrounds. Moreover, state protocol is imperative to ensure Singaporeans do not feel second or third class citizens. Locals are not going to rest on menial and lower-management jobs or react passively when an outsider undermines them. Superficial curbs like foreign workers earning less than S$4,000 a month no longer are able to bring their spouses and children with them to live in Singapore are not going to change things. This melting pot of a country is getting hotter by the day. And I am not just referring to the weather.